What is BTU output and the duration of ethanol fuel burn time? A common question we have been asked is about BTU output and the duration of ethanol fuel burn time. Even though ventless bio ethanol fireplaces were designed as decorative fireplaces, they produce a real flame which gives off a certain amount of BTU's. However, the output of BTU's and the duration of the burn time will vary from the actual fireplace not fuel. 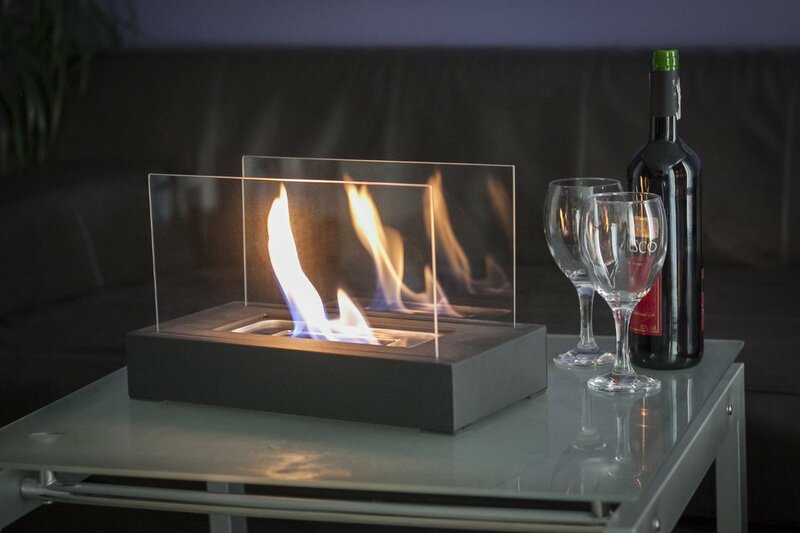 Reputable ethanol fireplace manufacturers, such as Moda Flame provide the BTU output and an approximate burn time for each fireplace they produce. All BTU outputs and burn time durations of ethanol fireplace fuel do vary based on the environment the fireplace is used in (outdoors, indoors and amount of ventilation). This is similar to vehicles and their miles per gallon, which alter from tank size, driving habits, wind resistance, uphill, downhill...etc. The below graph depicts Moda Flame's burner types, ethanol fireplace burner capacities, BTU outputs and burn times.